Online Registration is now closed. Payments will be accepted at the door. 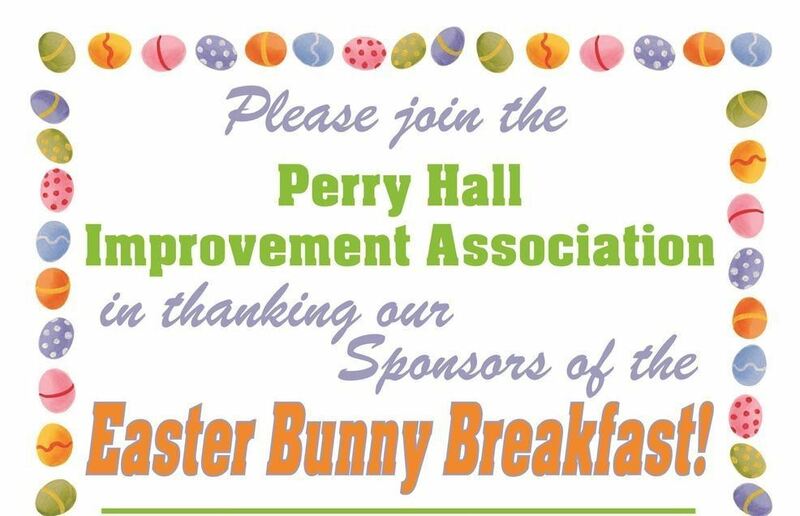 Join the Perry Hall Improvement Association for our annual Breakfast with the Easter Bunny and Egg Hunt at Gunpowder Lodge. Seating is on a First Come basis. Seating will take place as tables become available. **** Egg Hunts take place at 0900 and 1000.